This is one of three comprehensive articles where I, Mathieu Bourgie, a computer hardware enthusiast with over 16 years of experience, recommend to you all the required parts, to help you build your own Gaming PC. Is an Extreme Gaming PC powerful enough for you? There are two (2) recommended Gaming PC levels of performance (Tier) in this article. The recommended parts for each Tiers are indicated by their respective numbers (7 and 8) through the article. For that, I recommend the more affordable Budget Gaming PCs. Are you going to play on a 1080p monitor/TV? In that case, the High End Gaming PCs are powerful enough for your needs. Do you need help picking the right level of performance or parts for your Gaming PC? My recommendations in this article are based on the prices that I saw on January 25th 2016. This table can be scrolled sideways on mobile. This is the CPU that offers the highest performance for a gaming PC, thanks to its high-frequencies and highly efficient architecture that offers far higher single-threaded performance than AMD’s CPUs. Most video games only use two to four cores and prioritize single-threaded performance so when it comes to gaming performance, AMD’s fastest CPU, the 220W(TDP) FX-9590 is no match for Intel’s Core i7-7700K when it comes to gaming performance. Simply put, AMD hasn’t updated their high-end FX CPU’s architecture since it launched in September 2011. In the meantime, Intel is trying to launch a new generation of Core i CPUs every year, alternating between a new architecture (higher performance) and a smaller manufacturing process (lower power consumption). When the first CPU based on the Bulldozer FX architecture came out, they were facing Intel second generation Sandy Bridge Core CPUs, such as the popular Core i5-2500K. The Core i7-7700K is five (!) generations ahead of that, so it has a higher-performance architecture, higher frequencies (4.2GHz base frequency, 4.5GHz maximum Turbo frequency) and is even more power efficient. With 4 Kaby Lake cores and Hyper-Threading, the Core i7-7700K can handle 8 threads simultaneously. With its high performance, it’s a fine choice for a Gaming PC that also gets used as a workstation. The Core i7-7700K also consumes a lot less power (200W less at load than the AMD FX-9590! ), resulting in a PC that consumes less electricity (lower electricity bill) and is less noisy. It also allows you to spend less money on the power supply because you don’t need one that’s as powerful. Finally, it is an unlocked multiplier CPU, so you can easily overclock it (raise its frequency) to raise its performance even more! Tier 7 feature recommended components that are optimized for overclocking, meaning that your overclock won’t be limited by an inadequate CPU Cooler or something alike. The i7 series brings with it Hyper-Threading, which isn’t that useful for gaming (i.e. it doesn’t bring much more performance for video games), but if you do a lot of photo/video editing, heavy multi-tasking, highly demanding workloads, need all the CPU performance that you can get or just want a more powerful CPU, the Core i7-7700K is an excellent choice. It also offers higher frequencies (4.2-4.5GHz) as well as an unlocked multiplier for full overclocking. With 6 cores and Hyper-Threading, the Core i7-6850K can handle 12 threads simultaneously. With its high performance, it can help you use this PC as a Workstation too. With games starting to take advantage of more than 4 cores, the six-core i7-6850K will offer slightly higher performance in newer games. In most games, the Core i7-7700K may offer slightly higher performance, but the i7-6850K will still offer excellent performanceand will offer higher performance in applications that take advantage of more than 4 cores. With the X99 platform and the Core i7-6850K, you get quad-channel RAM, which offers twice the memory bandwidth of the Z270 platform of the Core i7-7700K. While this won’t impact gaming performance, its additional performance for applications that take advantage of it. If you use your Gaming PC as a powerful workstation too, you’ll benefit from quad-channel RAM. Finally, it is an unlocked CPU, so you can overclock it (raise its frequency) to raise its performance even more! It is possible to do this in a way that is safe, the PC components that I recommend can handle the additional stress/heat. Do note that you may need to upgrade your power supply to overclock: Overclocking increases the power consumption of your CPU. More details on this in the power supply section. – Note that the Core i7-6850K DOES NOT include a heatsink/fan CPU cooler. This doesn’t matter, I recommend an after-market one to keep your CPU cool even under heavy overclocking. If you plan on using your Gaming PC also as a Workstation, the Core i7-6900K offers even higher performance, thanks to having 8 cores. With Hyper-Threading, it can handle 16 threads simultaneously. While its base frequency is lower, it can still Turbo all the way to 4GHz. There is also the 10 core Core i7-6950X, but with its lower frequencies, it’s not ideal for gaming performance, so I don’t recommend it. Simply put: It’s a featured packed, reliable motherboard, compatible with SLI, at a reasonable price for what it is. Support for up to two video cards in SLI or Crossfire, 8x/8x PCI-Express 3.0 bandwidth. The third (bottom) PCI-Express 16x slot runs at 4x PCI-Express 2.0, avoid using it. Four RAM slots, for a maximum of 64GB (4x16GB) of RAM. Great onboard audio with Realtek high-end ALC1220 audio chipset. Nothing like the recommended dedicated sound card though. 6 temperature sensro, 5 fan connectors, Smart Fan 5 application to track temperatures and control fans. 6x SATA 6Gbps ports, one SATA-Express and one M.2 PCIe 4x NVMe port. Two USB 3.1 10Gbps ports (one type-C and one type-A) and six USB 3.0 (3.1 Gen 1 = 3.0). Two USB 3.0 headers and two USB 2.0 headers. Debug LEDs, which show which part is problematic to help you troubleshoot your PC should a problem arise. Five fan connectors, all four pins. Solid Power delivery components and good cooling for them, ensuring that the motherboard won’t bottleneck your CPU overclocking. Ports on the back: 4x USB 2.0, 2x USB 3.0, 2x USB 3.1 Gen 2 (1x Type A and 1x Type C), 1x 10/100/1000 Mbps RJ-45 LAN, P/S2, 5 audi0 ports (for 7.1 sound) and Optical S/PDIF Out, DVI and HDMI. Expansion slots: Two PCI-Express 3.0 16x slots (8x/8x), one PCI-Express 16x 3.0 slot (runs at 4x), four PCI-Express 1x 3.0 slots. Reliable, inexpensive for what it is, X99 chipset, LGA2011v3 CPU support, SLI support and excellent power delivery for overclocking. Support multiple video cards in SLI or Crossfire, with 16x/16x PCI-Express 3.0 bandwidth for two video cards. Eight RAM slots, for a maximum of 128GB (8x16GB) of DDR4 RAM. Reinforced metal PCI-Express 16x ports. More solid than regular plastic slots. Great onboard audio with Realtek high-end ALC1150 audio chipset. Nothing like the recommended dedicated sound card though. Two USB 3.1 Gen 2 10Gbps (one Type-C, one Type-A), four USB 3.0 ports, four USB 2.0, two USB 3.0 header and two USB 2.0 headers. Five fan connectors (All 4 pins). Ports on the back: 4x USB 2.0, 4x USB 3.0, 1x USB 3.1 Type-C, 1x USB 3.1 Type-A, 1x P/S2, 2x 10/100/1000 Mbps RJ-45 LAN, Wifi, 5 audi0 ports (for 5.1 sound) and Optical S/PDIF Out. Expansion slots: Three PCI-Express 3.0 16x slots and two PCI-Express 1x slots. Tier 7 feature a dual-channel DDR4 motherboard, so for maximum performance, you want two or four sticks of RAM. I’m recommending a dual-channel kit with two RAM sticks. Note that you’ll have two free RAM slots on your motherboard, so you can add two more RAM memory sticks in the future if you want to upgrade. If you’re like me and like switching back (Alt-Tab or Alt-Esc) to your desktop to check something while pausing your game and keeping it open, along with a bunch of open programs, 32GB will further improve the responsiveness of your PC compared to 16GB. Also, if you intend on keeping this Gaming PC for several years, 32GB is worth it. That way, you know that you’ll be future-proof for a while and that you can alt-tab out of your games with minimal lag. I also recommend 32GB of RAM due to the presence of the two Geforce GTX 1070 8GB video cards. You want at the very least as much as much RAM as VRAM (video card RAM), to avoid a bottleneck that could reduce the performance of your video cards and lower the quality of your gaming experience. This means that with 16GB of VRAM (2 video cards with 8GB each), 32GB of RAM is enough to fill up the video card VRAM and have plenty of spare RAM for other tasks. Tier 8 feature a quad-channel DDR4 motherboard, so for maximum performance, you want four or eight sticks of RAM. I’m recommending a quad-channel kit with four RAM sticks. Note that you’ll have four free RAM slots on your motherboard, so you can add four more RAM memory sticks in the future if you want to upgrade. Once again, I recommend 32GB of RAM due to the presence of the two Geforce GTX 1080 8GB video cards. Get the latest version of the video card drivers directly from AMD or Nvidia. That way, you’ll be sure to get the latest bug fixes as well as the best performance possible from your video card(s). If you have multiple Nvidia video cards that you want to run in SLI: You must connect all of them with a ‘SLI Bridge’, a flexible cable or solid connector that allow the cards to run in SLI, included with the motherboard. To confirm whether Crossfire or SLI is working or not, use GPU-Z which will show that information to you in the last field at the bottom of the program’s window. This is the new, high bandwidth SLI HB Bridge HB. It is necessary to use this new High Bandwidth SLI Bridge for optimal performance at 4K on on multiple monitors setups. The extra bandwidth smooths out delivery of the frames for a more consistent game experience, according to Nvidia, as well as boost the frame rates. I recommend this version with 1 slot spacing, which is what you need with the recommended motherboards and video cards. Note that you can get the SLI HB Bridge from other brands or directly from Nvidia, just make sure that it’s the HB (High Bandwidth) version with 1 slot spacing. Looking for more performance than what the GTX 1080 can offer? The first step up is two Geforce GTX 1070 in SLI. I recommend the ASUS Geforce GTX 1070 graphic cards, because they are inexpensive and come with a blower style cooler, which will exhaust the hot air outside of the case, keeping the rest of your components cooler. What settings can this setup handle? Most games at a resolution of 3840 x 2160 (Ultra HD/4K) and a triple 1080p monitor setup (6.2MP) should be able to run at high with good frame rates maxed out, although the most demanding ones will require you to lower settings. See Tier 8 for higher performance. Do you want more performance than what the fastest GPU can offer? In that case, get two Geforce GTX 1080 and team them up in SLI for even more performance than a single GTX Titan X at roughly the same price. Two Geforce GTX 1080 in SLI are ideal to run the latest games maxed out at a resolution of 2560 x 1440/1600 (2K) and games at a resolution of 3840 x 2160 (Ultra HD/4K) and a triple 1080p monitor setup (6.2MP) should be able to run maxed out, although you might have to lower settings by a notch if you need very high frame rates in the most demanding games. Quick tip #1: Curious to see what are the best SSDs? Check out our article on The Best SSDs (Solid State Drives) For Your Money. Quick tip #2: Not sure what storage capacity you need for your SSD? See our article on How to choose the right SSD storage capacity and pay less for your computer. Why am I recommending the Crucial MX300 SSD? The Samsung 850 EVO SSDs offers top-notch reliability and good performance for a SATA III SSD. The Samsung 850 EVO has the advantage of being available in capacities up to 4TB, a big advantage if you need more storage capacity for your video games collection. If you want more than 1TB, there’s a 2TB Crucial MX300. If you want 4TB, you can get either two 2TB MX300 or the single, more expensive, Samsung 850 EVO 4TB. Seagate launched an update to their Barracuda line-up of hard drives, with performance gains and so far great reliability. It comes with a two years warranty. Keep in mind that you’ll have a 1TB (or more) SSD to store the OS and programs/games and when you want the extra performance. For Tier 8, I’ve bumped up the recommended hard drive capacity to 4TB. 4TB is not enough? Do you want 5TB, 6TB, 8TB or 10TB? No problem, just pick the hard with the capacity that you want. All of them are high performance 7200rpm models. This power supply is capable of delivering up to 850W, not that you should rely on this information only as I often point in posts such as Warning: 6 Surefire Ways of Blowing Up Your Computer Due to an Inadequate Power Supply, but more importantly 70.8A on the 12V line, the most important factor when it comes to choosing a power supply for a gaming computer. It is 80 Plus Gold certified, to insure very high efficiency, a lower power bill, less heat and noise, compared to a less efficient and/or lower quality power supply. It’s also fully modular meaning that all cables are removable, so that you only install the ones that you need, resulting in less of a cable mess. At low load, it will stop its fan to operate silently. As the load increase, it will automatically turn on its fan as necessary. Of course, it’s based on a reliable design, to ensure that it will last you many years. It comes with an industry-leading 10 years warranty; that gives you an idea of what to expect reliability wise! While this is the main tool that I use to estimate power consumption, do note that my recommendations also take into account my personal experience (over 16 years) and some additional research of my own to verify these numbers. This is why you may notice that the numbers that I give above may be higher than what the eXtreme Power Supply Calculator gives you. When in doubt, stick with my numbers. Why should I get a power supply that’s more powerful than the requirements? 1- You don’t want to run your power supply too close to its maximum output. While you can match a 650W PSU with a 632W requirement, I don’t recommend it: Running your PSU at full load all the time will increase the wear and tear on its components. This will reduce its lifespan, increase its chance of failure, reduce its efficiency, increase its heat output and noise output. I recommend adding a 15-20% overhead to give some breathing room to your PSU so that it lasts you many years, runs efficiently and doesn’t get too noisy. Note that my recommendations include this overhead. 2- Consider that you may want to upgrade to more power hungry components in the future. The Geforce GTX 1070/1080 don’t consume much power for high-end video cards. Future generations of video cards might have higher power consumption, so having a more powerful power supply will cover that difference. My recommendations take into consideration that you will overclock your CPU and the video cards, so the power supply is capable of handling the additional power requirements of overclocking. – Is preferably quiet. Powerful doesn’t have to mean noisy. The NZXT H440 is a dream case. It’s a brilliant case that’s available in multiple colors and at a great price for what it offers. It comes with three 120mm front fans and a back 140mm fan. So you have plenty of airflow for your dual video card setup. It has been designed to support the recommended 240mm radiator, in the front or on top, for the CPU water cooling. You get an integrated 10-port fan hub, power supply shroud, .2″ closed-cell sound dampening material, cable management, two USB 3.0 and two USB 2.0 ports. The Corsair H100i V2 offers outstanding cooling performance, capable of handling an overclocked CPU with any problem, without being too noisy, although make sure you connect the Corsair Link cable to control the fan speed and consider replacing the fans if you want something more quiet. It’s the best selling all-in-one liquid CPU Cooler for a reason. It’s compatible with both the LGA1151 and LGA2011 socket, so with both Tier of the Extreme Gaming PCs. Make sure that it supports a 240mm radiator. Otherwise, get a setup with a radiator size that will fit in your case. Just leave a comment at the end of the article if you aren’t sure if everything is compatible. The Corsair H110i comes with a pre-installed high-quality and high-performance thermal compound, so you don’t need to buy any thermal compound separately. While integrated audio has improved a lot over the years, it’s still no match for the sound quality of a dedicated sound card, especially when you use good headphones and/or speakers. The Sound Blaster Z is a fairly recent model from Creative Labs. With a 116dB SNR, a built-in headphone amplifier, gold plated jacks and then Sound Blaster beamforming microphone, you can expect high-quality sound. Considering that audio is a big part of your Gaming PC experience, I believe that less than $70, or a small % of your total budget, is entirely worth it to improve your PC audio quality, whether it’s for gaming, music, movies, TV or other entertainment purposes. For Tier 7, install it above the top video card (closest to the CPU). For Tier 8, install it in the bottom PCI-Express 16x slot. Yes, it will work just fine in a 16x slot. Integrated with the motherboard, this(those) network adapter(s) will allow you to access your local network and Internet, by connecting a Cat5-e cable from your modem/router to your PC. If you want a wire less adapter, I recommend this high-performance, reliable USB adapter that’s affordable for what it is. It offers 802.11ac support, 2.4GHz (up to 450Mbps) and 5GHz (up to 1300Mbps) dual-band support, beamforming and MIMO support. It comes with an ajustable antenna that can be rotated 180 degrees for optimal WiFi connectivity and performance. 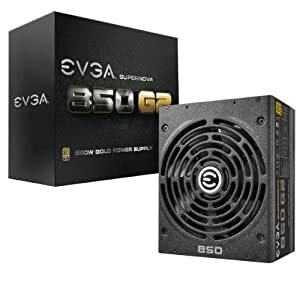 Click here to see the price on Amazon or $109.00 at B&H (Worldwide Shipping) or $129.99 at Newegg. Microsoft has been optimizing Windows 10 to improve performance. If you want the best performance, especially with Intel’s Skylake or future processors from Intel and AMD, Windows 10 is the way to go. Need help? Head over to our forums here! Join us on our forums! Im not good at these kind of things and have a few questions about a PC I bought at DOSPARA here in Japan, (although im not Japanese, I only live here). I want to use a Sharp LC-60XD35 60 inch 4k AQUOS TV as a gaming monitor, (Have not bought 1 yet only considering of buying together with HDMI2.0 High speed cable connector). My PC specs are as follows, CPU: Intel COREi7-5960X 8core, Motherboard: Asus X99 Deluxe/U3.1, Video Cards: SLI Bridge GTX 980, RAM: 32 GB, SSD: 520 GB, HDD: 1.2 TB. Is My PC going to perform well with that kind of 60 inch 4k monitor? Not really, the GTX 980 struggles at 4K. For a good gaming experience at 4K, you’ll want to upgrade to a single or preferably dual GTX 1080 8GB setup. You could also simply runs games at a lower resolution, on the 4K TV, or at a 4K resolution but with lower visual settings, but that kind of defeats the point of gaming with a 4K TV. So I have no other problem, like motherboards, CPU, RAM, and SSD? Just need to upgrade my video cards to a SLI bridge GTX 1080? Thank you very much. You’ll also need the new HB (High Bandwidth) SLI Bridge for the dual GTX 1080 in SLI. It is a new, higher bandwidth SLI bridge, which ensure higher performance, especially on 4K, so make sure to get it. The rest of your PC will have no problem handling 4K.